The card game ‘Vanguard’ has swept the entire world and changed the fate of one boy. His name is Aichi Sendou. 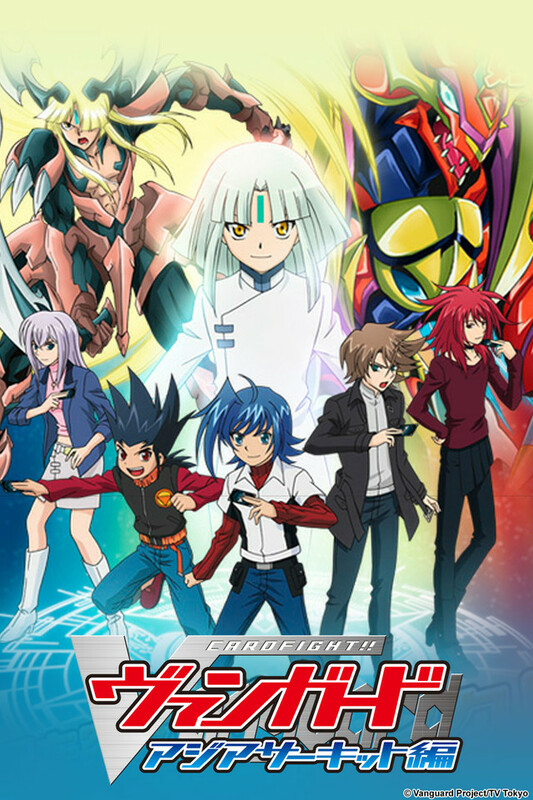 To make an impression on Toshiki Kai, a Cardfighter he deeply admires, Aichi begins to play Vanguard and soon becomes caught up in the fun and charm of the game.Through playing Vanguard, Aichi first meets his teammates-to-be, Misaki Tokura and Kamui Katsuragi, then encounters a great number of allies and rivals, his bond to them strengthening as time goes by. At one point, though, the peculiar power known as Psyqualia awakens within Aichi. It’s the ultimate power that allows Aichi to be in control of his fights by putting him in synch with the planet Cray… However, the power is too strong and Aichi becomes addicted to it, thereby losing himself. Aichi is saved, though, by Kai, Kourin, and the other friends he’s made through playing Vanguard. Aichi gains a variety of experiences and grows tremendously as both a person and Cardfighter. At the national tournament, Aichi’s team defeats AL4, the team led by Ren Suzugamori, Japan’s strongest fighter, and wins the championship. One day not long afterwards, Aichi and his teammates receive an invitation to participate in the Vanguard Fight Circuit. They’ve broken through the shell that is Japan and want to fly through Asia, where the world’s most powerful teams are waiting for them!